Do You Want Him to Answer Your Texts Faster? The Secret is as Close as Your Fingertips! 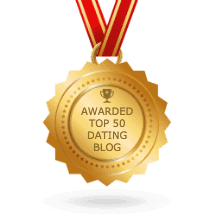 With over 250K books sold, Gregg Michaelsen dominates the dating advice world by offering easy-to-follow, game-changing advice. Just read the reviews above! You may have noticed that men and women text differently! You send him long texts, all about your day and everything you have to share with him. Do you want to know what he’s doing on the other end of that text? He’s either rolling his eyes or he’s laid his phone down until you’re done. This type of texting is not exciting to a man. It doesn’t inspire him to respond. In fact, it has the opposite effect. It makes him not want to respond at all. Your goal is create tension and excitement prior to seeing him in person. This involves hitting him with texts that challenge and provide some mystery on your part. When they do, you get angry or frustrated because you didn’t get a book back. It’s time to fix your texting mistakes and in doing so, get him to respond faster! Texting is a very common form of communication today. It’s too important to ignore. In fact, you should consider it a tool in your arsenal – a tool to keep him challenged – a tool to keep him in chase mode! This book contains dozens of sample texts and ways for you to keep him in chase mode! This keeps him interested in you while also keeping him into your texts!